Santorini is considered the most romantic destination in Greece. Its majestic white small towns built on the edge of the cliff, with picturesque hamlets, cobbled streets and impressive churches embraced by the sun light create a rare spectacle. Amorous couples flock every year to the volcanic island to enjoy arm in arm on a balcony of Caldera, the famous sunset of Santorini. Indeed, in recent years the island has been established as a destination for couples who wish to perform their wedding ceremony or honeymoon. 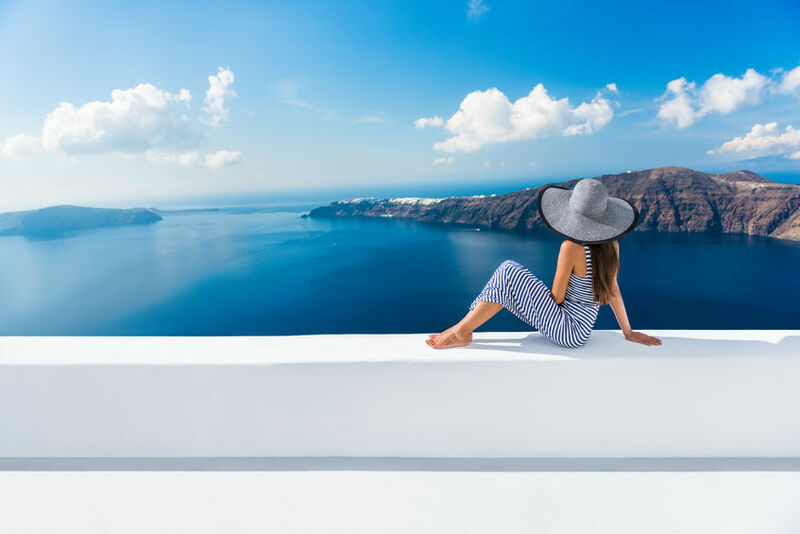 The island’s capital Fira Built on the Caldera, 260 meters above sea level, with a magnificent view onto the crystal blue waters of the Aegean Sea and the island of Nea Kameni, that seem just a breath away from the sky. Walk through the shops and buy local products. The island is also considered one of the most organized wine tourism destinations in the country. We should not neglect to mention the beautiful beaches of the island which match exactly to its special volcanic character. Dive into beaches with black, red and white sand or colorful pebbles carved by the salt, the wind and the rocks. A one of a kind setting that cannot be found anywhere else in Greece. Sounio is the Cape located at the southern edge of Attica. It rises almost vertically from the sea to a great height, forming at the foot of it a small bay, which is separated by another eastern cove and an isthmus. 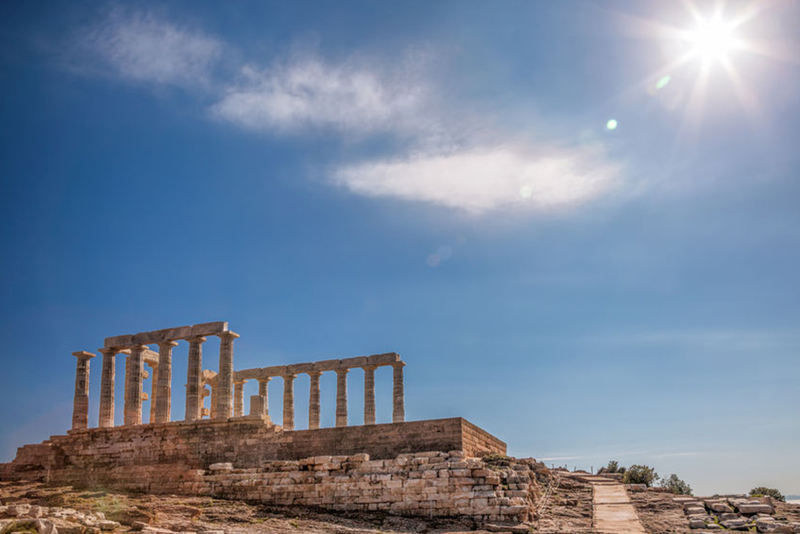 Sounio is known for its important geographical position and also because of the ruins of the ancient temple of Poseidon found in it. In recent years, the wider region due to its environmental value was declared a national park. Sounio’s sunset is also famous. 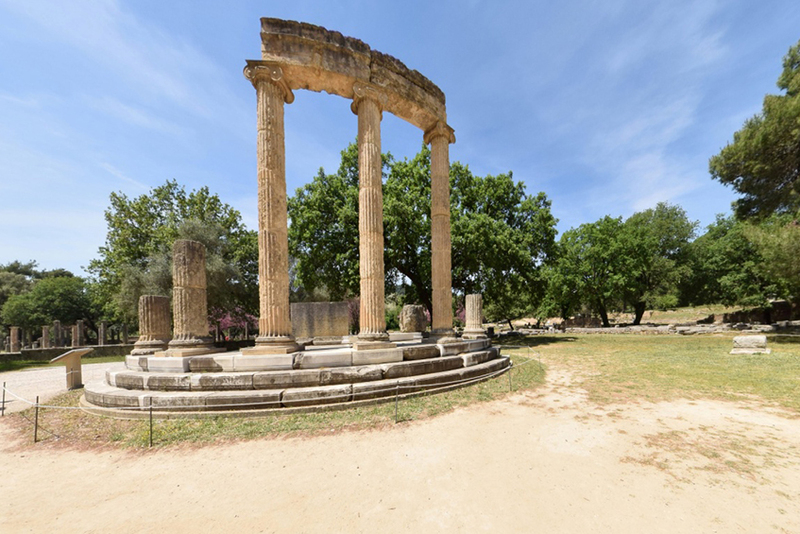 The mysterious architect, probably the one who also built Thisseio in the Ancient Agora of Athens, adorned the temple with Parian marble sculptures depicting the labours of Theseus, and the battles with Centaurs and Giants. The surviving sculptures can be found at the Museum of Lavrion, while the impressive kouroi, that once dominated the temple’s precinct, are stored in the National Archaeological Museum of Athens. 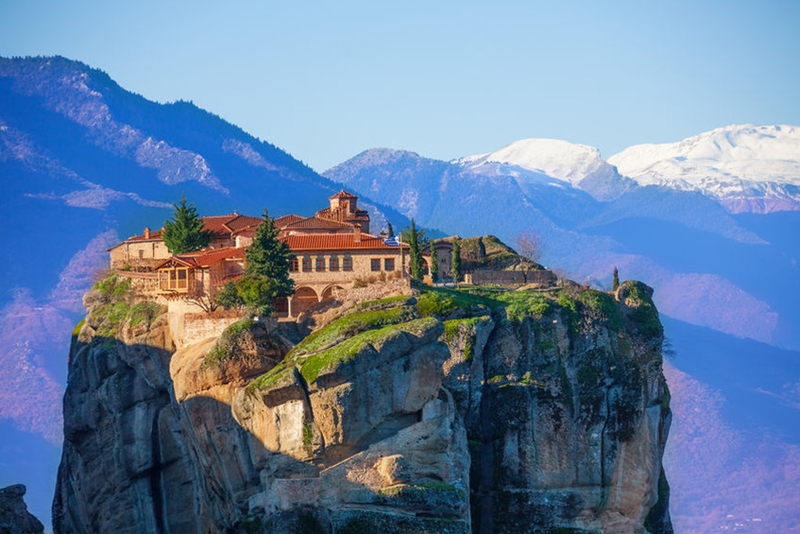 Meteora, after Mount Athos, is the largest monastic community in Greece with constant presence since the settlement of the first eremites. From historical references , we conclude that the monasteries of Meteora were thirty in total. Of these thirty monasteries, six operate up until today and attract crowds of pilgrims. Mount Athos is one of the most important parts of Greece, with indisputable world importance due to its fundamental national, historical, theological, Christian, philological artistic value and tradition. It is subdivided into twenty areas ruled by the twenty dominant monasteries and is the easternmost of the three peninsulas of Chalkidiki. It is about 60 km long, 8 to 12 km wide and covers an area of about 360 m2. Around the name and the older history of the Mount there are many different legends and traditions. Great Lavra (Megisti Lavra)2. Vatopedi Monastery 3. Iviron Monastery 4. Chilandari Monastery (Hilandar)(Serbian) 5. Dionysiou Monastery 6. Koutloumousiou Monastery 7. Pantokratoros Monastery 8. Xeropotamou Monastery . 9. Zographou Monastery (Bulgarian) 10. Dochiariou Monastery11. Karakalou Monastery 12. Philotheou Monastery 13. Simonopetra Monastery 14. St.Paul’s Monastery 15. Stavronikita Monastery 16. Xenophontos Monastery 17. Grigoriou Monastery 18. Esphigmenou Monastery 19. St. Panteleimon’s Monastery 20. Konstamonitou Monastery. 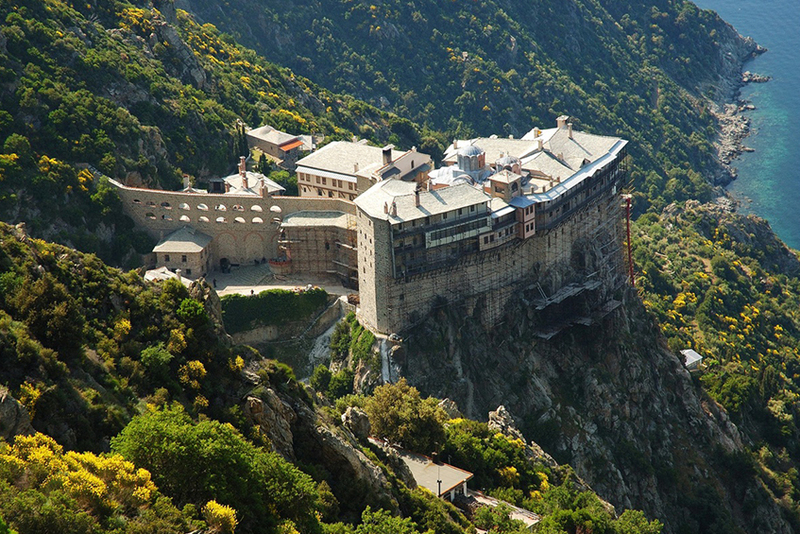 Today, all the monasteries and holy pilgrimages of Mount Athos are accessible only to men (women are banned) but after consultation with the monasteries and the issuance of a permit to visit. 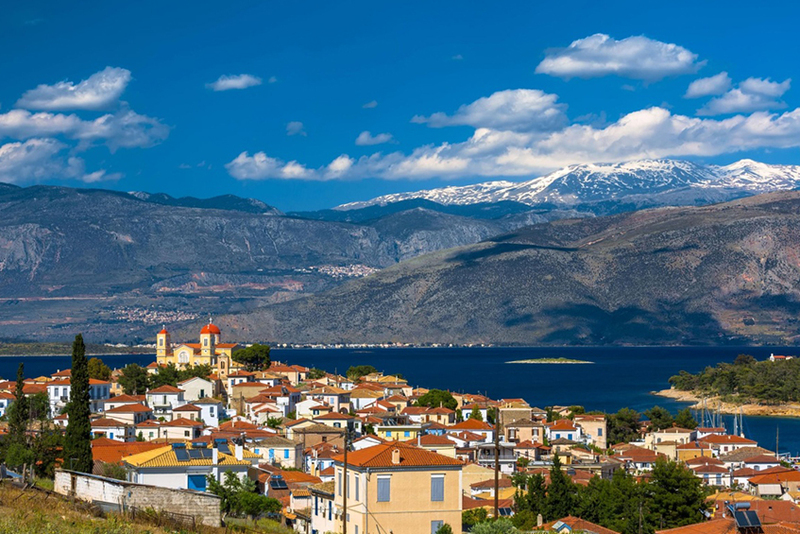 Perched atop Parnassus, Arachova stands out over time with stone houses, picturesque paved alleys, incredible natural beauty, tradition, intense nightlife and local delicacies. VIPs, winter sports fans and nature, as well as those who just want to live the “myth”, make their appointment here every year.